unink-uk has no other items for sale. WE DEEPLY ENCOURAGE TO READ FULL ITEM'S DESCRIPTION BEFORE PLACING AN ORDER. PLEASE FEEL FREE TO CONTACT US, IF THERE ARE ANY QUERIES OR ISSUES, BEFORE LEAVING FEEDBACK OR OPENING CASES. 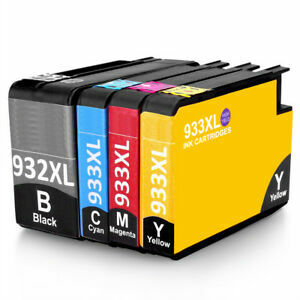 PLEASE QUOTE SALES RECORD NUMBER, PRINTER MODEL AND NUMBER/COLOURS OF CARTRIDGES TESTED, WHEN CONTACT. THIS WILL SIGNIFICANTLY SPEED UP RESOLUTION PROCESS. Don’t work! Waste of money. It looks like the magenta cartridge was filled with green ink so everything was coming out green. Ended up throwing them away and getting originals. Works a treat, no problems using it in my HP printer. Fully chipped and ready to go. Not one cartridge has been compatible with printer, just show up as missing or damaged. Great value producing good quality prints.